Are you searching for Scion service in San Diego? Look no further than Convoy Auto Repair. We are proud to have earned the reputation as the leading car repair shop in the communities of Kearny Mesa, Clairemont, Serra Mesa, Tierrasanta, Mission Valley, and Linda Vista. We hope to become your go-to auto service center. We are fortunate to boast an outstanding team of technicians. Our technicians are ASE and Master certified, which means they had to undergo long hours of rigorous training, to pass several exams. We, at Convoy Auto Repair, also require and support our technicians to attend a minimum of 6 hours of additional training courses per year. The auto industry is constantly changing, whether it be new technology, equipment, or even a new make of car. Because of our dedication to education, we can stay on top of the auto industry's trends. 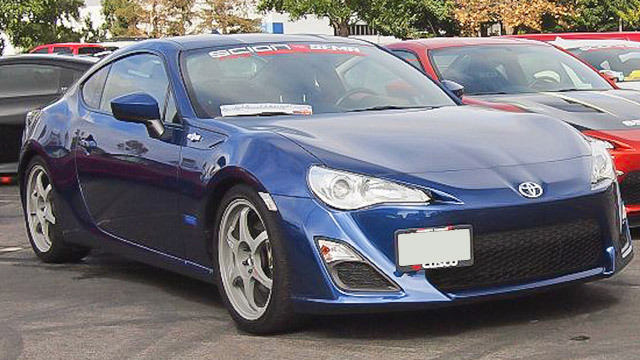 When you Scion arrives at our facility, you can breathe a sigh of relief, knowing your beloved vehicle is in the absolute best hands possible. "When we came in with our vehicle it was with the understanding that we were driving a long distance the next day and had to have the work completed by end of day. However, the repairs and maintenance needed were extensive and it seemed like "mission impossible" to turn it around quick enough. We were very pleased and grateful when they informed us that they would add a second mechanic for some of the job so that we could have it by 5pm. The work was done well and we have the confidence that the vehicle will get us safely to our destination and home again. Thank you Convoy Auto Repair!" We like to think of Convoy Auto Repair as one in a million. We boast an array of esteemed awards and certifications, the highest quality tools, technology, and equipment, and an unmatchable care and loyalty for our customers. To schedule an appointment at Convoy Auto Repair for Scion service, call us. We are located at 3909 Convoy Street in San Diego.